Hunting, that involves the seeking, pursuing, and killing of wild animals and birds, called game and game birds, primarily in modern times with firearms but also with bow and arrow. In Great Britain and Western Europe, hunting is the term employed for the taking of wild animals with the aid of hounds that hunt by scent, whereas the sport of taking small game and game birds with a gun is known as shooting. In the United States and elsewhere the term hunting is used for both hunting and shooting. In fox hunting, the kill is made by the hounds. See also falconry. To early man, hunting was a necessity. His quarry provided not only food from the meat but clothing from the skins, and material for tools from the bones, horns, and hooves. Both archaeological evidence from the past and observation of simpler societies of the present show widespread preoccupation with, and ingenuity in, methods of hunting. These varied, and vary, with the nature of the terrain, the animal hunted, the ingenuity and inventiveness of the hunters, and the materials and technologies at their disposal. Weapons ranged upward in intricacy and effectiveness from sticks and stones used to kill birds and small game to specially shaped clubs and throwing sticks such as the African knobkerry, the trombash of the Upper Nile, and the Australian boomerang; to spears ranging from simple pointed sticks to those with a separate foreshaft, usually barbed, and armed with heads of sharpened stone, bone, or metal. Except in Australia, bows and arrows were universal among early hunters and were revived by modern hunters in the 19th century. The blowpipe, or blow gun, with its poisoned darts is one of the hunter’s deadliest weapons. Camouflages and disguises were used to conceal the early hunter, who also used nooses, traps, snares, pits, decoys, baits, and poisons. Dogs were probably trained to hunt as early as Neolithic times and came to be bred for specialized skills. The horse was adapted to the hunt in the 2nd millennium bce. The development of agriculture made hunting less man’s sole life support, but he still pursued it to protect crops, flocks, or herds as well as for food. The hunter’s continual training with his implements and in tracking and stalking had a social value in maintaining group activity, earning prestige, and preserving tradition. Early hunting for sport was for rulers and their nobles, those having the most leisure and wealth. In ancient Egypt the huntsmen constituted a social class; they hunted on their own as well as attending at the hunting of nobles. There was hunting in open deserts on both sides of the Nile valley, and sometimes animals were driven into enclosed preserves to be hunted there. Animals hunted included gazelle, antelope (oryx), stag, wild ox, Barbary sheep, and hare; the ostrich for its plumes; and fox, jackal, wolf, hyena, and leopard for their pelts or as enemies of the farmer. The hunters used the net, noose, arrow, and dart. 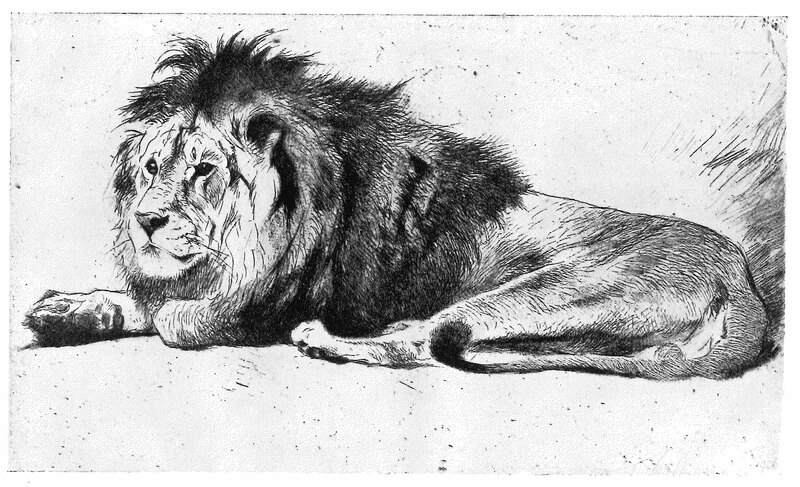 The lion was occasionally trained to hunt. Later hunters occasionally rode in a chariot or on horseback. The Assyrians and Babylonians also were partial to the chase, as is shown by the hunting scenes depicted on the walls of their temples and palaces. Ashurbanipal, the Hunting King, in the 7th century bce had himself immortalized in a bas-relief with the accompanying boast: “I killed the lion.” A 5th-century silver dish showed the Sāsānian king Kavadh I galloping at full tilt after wild sheep. Hawks and falcons were used in hunting by Assyrians before 700 bce; and falconry was widely known in India and China at an early date. Biblical references show that game was plentiful, much sought after, and duly appreciated by the Israelites. Hunting began early among the ancient Greeks. Xenophon’s Kynēgetikos (“On Hunting”) in the 4th century bce was based on his own experience in hunting the hare but also describes boar and stag hunting. Lions, leopards, lynx, panthers, and bears are also mentioned, the last being taken in pitfalls or speared by mounted horsemen. The Romans viewed hunting with less favour as a sport for gentlemen and left it to inferiors and professionals. T he Franks and other Teutonic peoples were fond of falconry and the chase, and in later centuries both the laity and the clergy were warned by provincial councils against spending so much time and money on hounds, hawks, and falcons. Originally, among the northern nations all could hunt except slaves, who were forbidden to bear arms. The idea of game preservation arose in feudal times when the right to hunt became attached to the ownership of land. Because of their hereditary claim to the title Lord High Masters of the Chase for the Holy Roman Empire, the electors of Saxony enjoyed exceptional opportunities to hunt. Elector John George II of Saxony (reigned 1656–80) shot an astonishing total of 42,649 red deer. He refused the crown of Bohemia not for political reasons but because Bohemian stags were smaller than Saxon ones. To protect his stags he fenced the boundary between Saxony and Bohemia. An early landgrave of Hesse had a codicil added to the Lord’s Prayer: “Give us this day our daily hart in the pride of grease,” i.e., a fattened stag. In 11th-century England, Edward the Confessor delighted in riding after stag hounds, as did many of his successors. In 18th-century France Louis XV was so fond of hunting that he stopped on the way home from his coronation to chase stags in the Villars-Cotterets forest. In 1726 he spent 276 days hunting. In Russia the tsars had superb hunting in the forest of Belovezh; one remarkable 12-day shoot produced a tally of 36 elks, 53 stags, 325 roebuck, 42 bison (wisent), and 138 wild boars. European women were also famous in the hunt. Princess Frederika of Eisenach was known for her deer-stalking skill; Maria, governess of the Netherlands, could track a stag, shoot it with a crossbow, and gut it. In France, Diana de Poitiers, with her paramour Henry II (ruled 1547–59), hunted stags, roe deer, and boar from the saddle at Chenonceaux, Europe’s most magnificent hunting lodge; and in England, Elizabeth I was fond of both hunting and hawking. A distinction between hunting for sport and hunting for food was made early. For the Normans the chase was principally for meat from the early Middle Ages on, and it was organized to provide the most kills for the least effort. Where hunting was a pastime, however, a strict code of behaviour developed based on standards enjoined by royalty and nobles. A gentleman taking game birds for recreation did so with a falcon; a fowler who earned his living by selling to the market used nets. From this distinction arose the complex, often mystifying, and seemingly contradictory European canon of fair play for the hunted. Those preying on wild creatures for amusement limited their means so as to give the quarry a fair chance to escape and to avoid unnecessary suffering of wounded game. The code demands that a hunter track down and kill an animal he has wounded. Shooting a sitting duck is still frowned upon, and hiding out in wait for a big-game animal to come to a water hole or a block of salt is considered unsportsmanlike. Hunters who consider themselves sportsmen uphold the code. European game laws, written and unwritten, worked so that hunting is still excellent in many areas. Even Slav hunters in countries that became Communist observe the code of the aristocratic past. This protocol gave hunting a residual prestige verging on snob appeal long after social changes removed its origins. The spread of income now permits hunting in some form by virtually all who wish to hunt in nearly every country. The right to shoot vested in the ownership of land always could be sold or let. In western Europe the acquisition of such rights by shooting clubs, generally with large memberships, increased in modern times. In eastern European Communist countries shooting rights theoretically passed into the hands of the communes, but in practice the rights are often let to organizations, sometimes from other countries. There are records of the shooting of game with firearms from the 16th century. The gun greatly increased the hunter’s ability to kill game at greater distances and in larger numbers; and every improvement in the range, accuracy, and rapidity of fire further increased the kill. Eventually hunters adopted additional conventions, generally unwritten but sometimes included in game laws, to limit their means of destruction. In Great Britain and many other countries, for example, the pump gun, or repeater, is not accepted as a sporting weapon. Nothing more efficient than a double-barreled shotgun is used; this gun compels a pause after two shots, either to reload or change guns, thus allowing the quarry a chance to get out of range. While the hunter’s ability to kill was increased, such conventions kept the actual kill under control. When European explorers and settlers came to the continent, game was abundant from coast to coast. Moose were common in New England and in the forested northern Atlantic coast. Deer roamed freely there and inland. There was a profusion of game birds, including the wild turkey, waterfowl, and small game. Westward the American buffalo (bison) blackened the plains, and passenger pigeons blackened the skies. In the western mountains elk (wapiti), mountain goat, sheep, and pronghorn were numerous, as were generally the predators: the puma, cougar, lynx, bobcat, wolf, and coyote. The pioneers, for whom a gun was both a weapon of defense and a food-provider, hunted to put meat on the table. The pioneer farm family harvested the game of the swamps and forests as naturally as it harvested the planted crops. The supply of game seemed limitless just as the availability and fertility of the land did. Hunting as sport was reflected only in the very popular shooting match. The pioneer tradition of “every man a hunter” persisted until after the frontier closed near the end of the 19th century and the agrarian population began to decline, particularly in the South and the Midwest and parts of the West. The mark of a farm or small town boy’s coming of age was when he received a gun for hunting. W hen Europeans began to settle Africa in the late 19th century, the colonists shot game for meat and hides and hunting was principally for survival, as it had been for the indigenous hunters. As in North America, game seemed in unlimited supply. The amount of hunting increased and the wildlife population decreased. When hunting out of necessity disappeared, it continued as a sport. Safari hunting was the most famous: an expedition usually for several hunters of from several days to several weeks, involving large numbers of bearers to carry equipment and supplies, gun bearers, game drivers, trackers, and skinners. 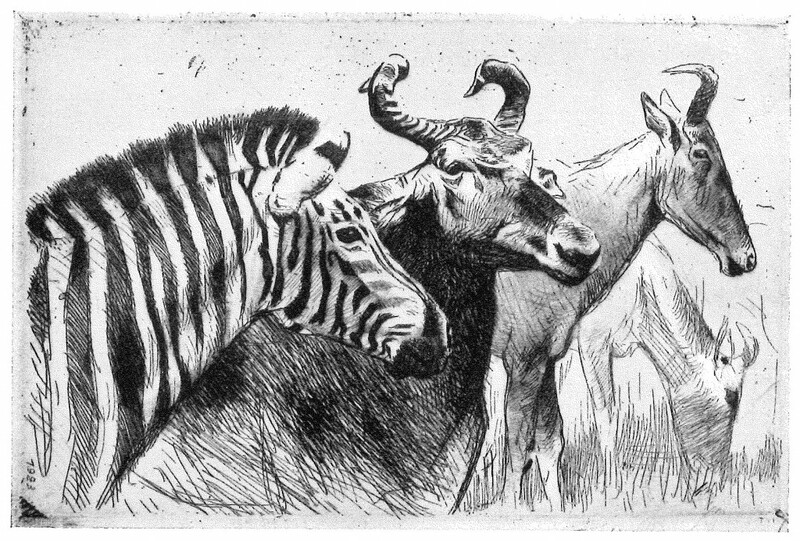 The safari was led by one or more professional hunters, “white hunters.” Ultimately automobiles replaced the bearers for transport, but so intense was the hunting that by the time air travel made the hunting grounds much more accessible after World War II, some species had been hunted to extinction and others nearly so. By the last quarter of the 20th century, safaris were made mainly by tourists who examined and photographed game in national preserves. In contrast to North America and Africa, colonization in Asia tended to overcome earlier overexploitation of game, conservation being achieved by the introduction of European game management practices. 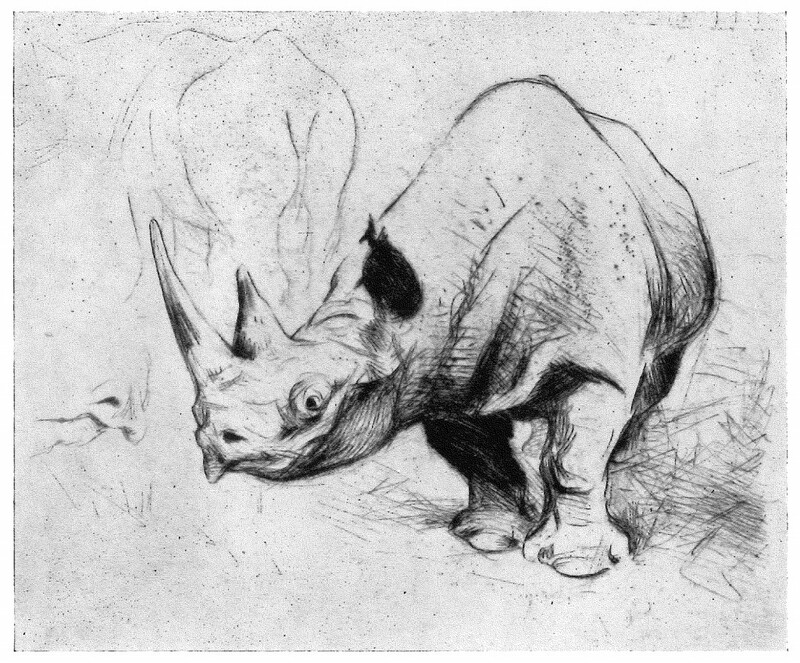 Nonetheless, by the second half of the 20th century such species as the tiger and the Asiatic rhinoceros became threatened by extinction, and protection was furnished by special-license hunting and by programs inaugurated with the help of the International Union for Conservation of Nature and Natural Resources (founded 1948). European settlers found only three indigenous big-game animals: the jaguar of Brazil and Paraguay, the spectacled bear of the high Andes, and the puma. Hunting tended to be for meat and hides, and most hunting was for game birds and small animals. 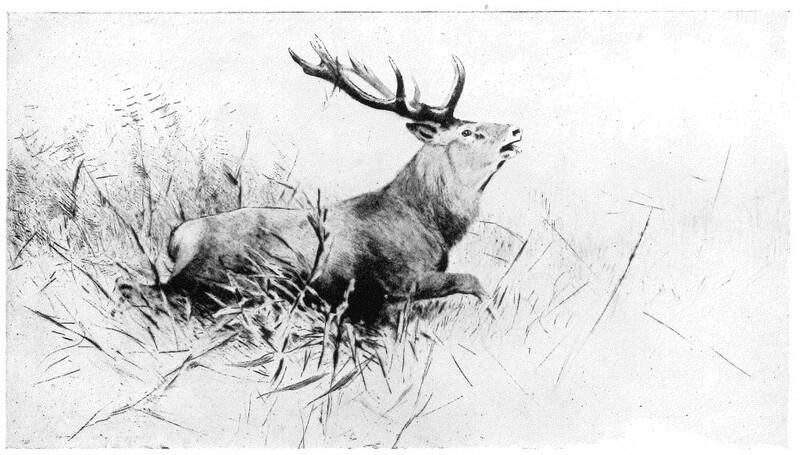 Early in the 20th century wild game animals were imported and introduced with considerable success: red deer and boar from the Carpathians; fallow deer from England; blackbuck and axis deer from India; and later Indian buffalo. This stock forms the basis for modern sport hunting in South America. Australia has no big game animals. Early settlers hunted the kangaroo, the dingo (a wild dog), and the emu (for plumage) as indigenous hunters had; deer were introduced but did not thrive. Fox hunting has persisted sporadically. In New Zealand, however, transplanted imports such as red and fallow deer and chamois from Europe; sambar, axis, and Japanese deer and tahr from Asia; and moose, elk, and white-tail deer from North America have all thrived. 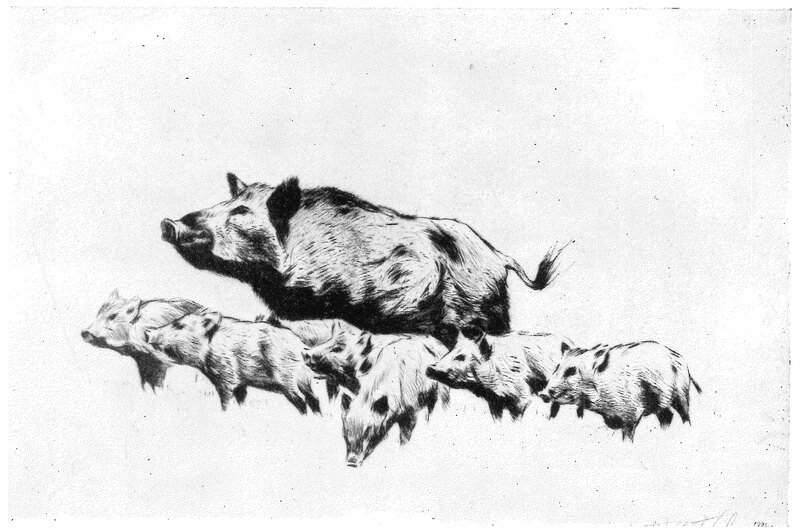 In the second half of the 20th century commercial meat hunting made heavy inroads into the stock. In the second half of the 20th century with species extinction being a concern of conservationists, hunting was no longer feasible in some places. The 19th-century extermination of the passenger pigeon and virtual extermination of the bison (buffalo) in North America, and the prospect of overhunting, both commercial and sport, led to laws protecting game and game birds. Much huntable land disappeared as industrial advance eliminated wildlife habitats and new farming methods reduced hedgerows and plowed under stubble soon after harvest, thus reducing food for game. State and national laws, however, established kill limits and required licenses for hunters, thus raising revenue to provide for replenishment of the stock. Much governmentally owned land was also opened for permit hunting. Conservation schemes may involve several governments and private bodies. In the United States, for example, the federal government controls game birds, which migrate from state to state and also summer in Canada and winter in Mexico. Ducks Unlimited, a private group, studies bird populations and advises on what seasons and bag limits are appropriate to assure a continuing supply of birds. 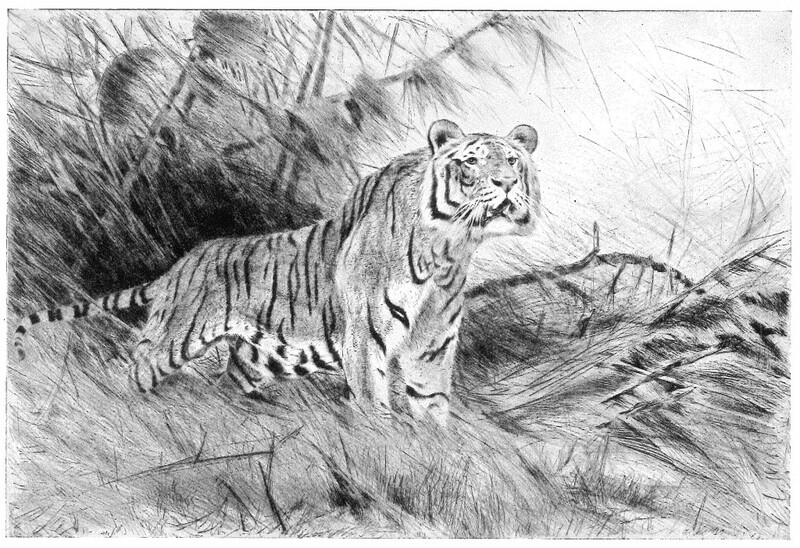 Game conservation schemes began in India in 1860, in Africa at the end of the 19th century, in North America from early in the 20th century, and in eastern Europe after World War II. In Great Britain and the rest of western Europe, preservation of wildlife is a function exercised or delegated by landowners. The basic methods of sport hunting are stalking, still-hunting, tracking, driving, sitting up, and calling. In open country where game can be viewed from afar and, conversely, game can see the hunter, a slow, stealthy approach, stalking, is necessary, the hunter taking advantage of even small cover and being careful that the wind does not blow his scent to the prey. In dense forest, undergrowth, brush, or scrub, the hunter, unable to see more than a few yards, walks slowly and cautiously, ever alert, in what is called still-hunting, although deer hunters using this method speak of “jumping” a deer. Elephants and other large animals that herd together cannot be stalked or still-hunted but must be tracked, a simple feat in soft ground and, for a skilled tracker, even on hard. Some game goes into cover so dense that a hunter cannot penetrate it to get a shot. Such game must be driven into the open. This may be done with the help of a number of men or dogs or, as in certain parts of India, with the aid of a line of elephants. These methods are known universally as driving, or beating. Sitting up, usually in blinds, is the most popular method of hunting waterfowl, with or without calling. It is called flighting in Great Britain. Hunting by calling involves waiting in hiding and making imitative noises by voice or with a call mechanism to attract the game. Game birds so hunted include ducks and geese, hunted from blinds near which decoys are placed, and wild turkeys, also hunted from blinds, but without decoys. Calling deer is an old European technique, especially in Germany and Austria. Hunting with dogs dates back to ancient Egypt, where greyhounds were used to hunt gazelles. Coursing, the pursuit of game by hounds hunting by sight, has become now mainly a competition between hunting dogs. 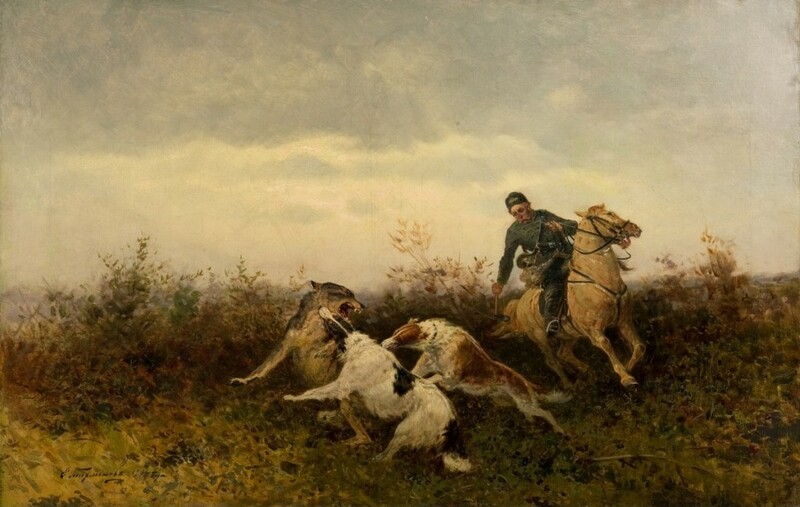 Hounds pursuing by scent are used in foxhunting and for such small game as hare, rabbit, and, in central and southern parts of the United States, raccoon. Spaniels, setters, and pointers, which hunt by scent and sight, are called gun dogs. These dogs not only retrieve shot birds but also work before the shot, locating birds for the hunter and flushing them when the hunter is in shooting position. Weapons are chosen according to the particular game being sought. For big game, high-powered rifles are used except that in some areas regulations for deer require the use of a shotgun firing a slug. Shotguns are used for shooting waterfowl and other game birds and most small animals, although squirrel hunters prefer a .22 caliber rifle. Bows and arrows are used primarily for small game, although in the United States, where such hunters numbered more than 1,750,000 in the late 20th century, bow hunting for deer had special seasons. Other big game had successfully been taken with the bow.